Small + Friendly has a no-sew idea for a pencil roll. Felted wool is great to work with and very sturdy. She also has one for crayons and a tablet. Over at Me? A Mom? 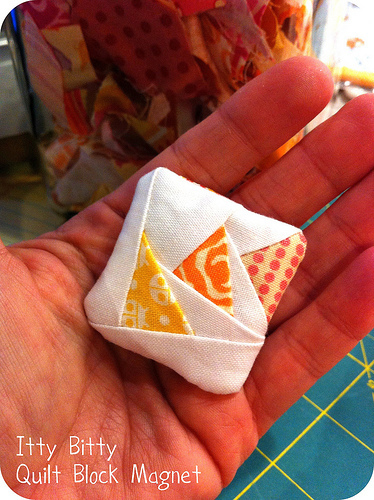 has an itty bitty paper piecing project for you. Paper piecing is a fun way to make a quilt block. My corners always come out cleaner with paper piecing. If you quilt but haven’t given paper piecing try yet this would be a fun first project. Not into tiny…you could make this larger and make it into a coaster or larger yet for a pot holder. 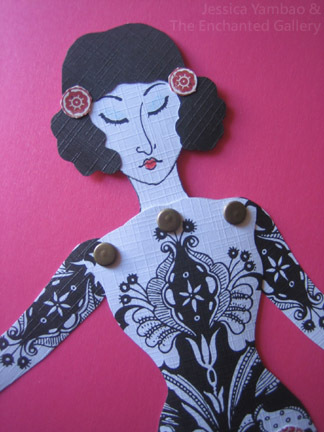 I have always love paper dolls. Over at The Enchanted Gallery they have a free download pattern for mermaid paper dolls. Lots of room for creativity here. I rarely do food, but these treats are so easy to make and taste great. You can also use rolos instead of the melting disc. I never have any leftover when I make them. Check them out at Love From the Oven. In our family we take turns hosting the holiday dinners. Easter is mine. So strolling through pinterest I came across this cute set-up for Easter dinner. Love the fluffy bunny tails on the chairs, the blue and white color palette and the individual veggie and dip cups. Sweet Designs set this up for dessert, but that doesn’t mean I can’t use it for dinner. 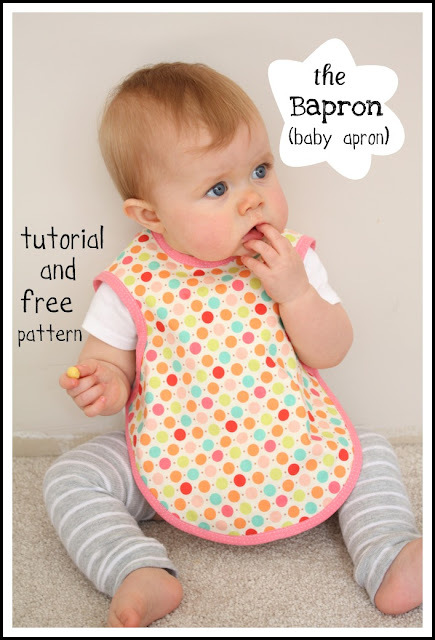 If you know of any new babies this bapron (baby apron) from Craftiness is Not Optional would make a wonderful gift. It covers enough area that it should save many a garment, but yet it is not cumbersome. 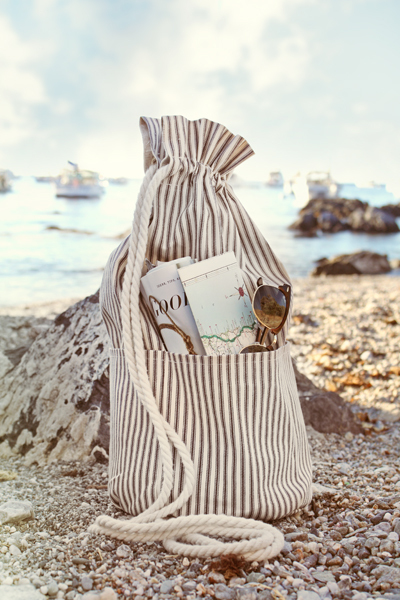 With about six inches of snow on the ground maybe I am rushing summer, but if I get this bag sewn I will be ready for the beach when summer comes. A Field Journal show you how to make this bag.